The juvenile's small white band in the middle of its sides disappears in adulthood. 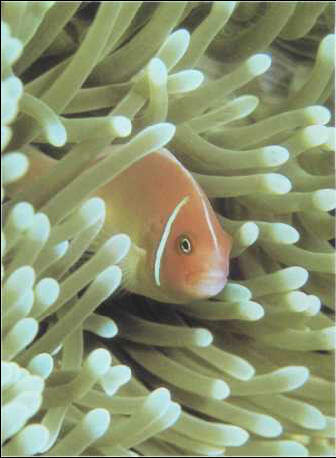 Highly territorial, the tomato clownfish lives in couples; it reproduces easily. Size: 15 cm.